It seems that Ajay Devgan, Emraan Hashmi, Ileana D’ Cruz, Esha Gupta and Vidyut Jammwal starrer 'Baadshaho' fever has taken twitterati by storm. Everyone is waiting for the much-awaited film’s teaser to be released on June 20. When the first poster was shared by the official Twitter accounts of 'Baadshaho' movie and its cast members, tweeple went gaga over it. Next up was Ajay Devgan’s look which was his most badass look till date. The fever didn’t stop here. Emraan Hashmi’s look wherein he is holding a country-made pistol in a Rajasthani costume acted as the catalyst to the film’s craze. Finally, Ileana D’ Cruz’s look was unveiled and it again took Twitter by storm. Now that it has been officially announced that 'Baadshaho' teaser will release on June 20, Twitter users and Bollywood buffs are going mad over it. With more than 7,500 tweets already with the hashtag 3DaysToBaadshahoTeaser, the film is garnering huge limelight. Looking forward to the @Baadshaho sandstorm that's coming! 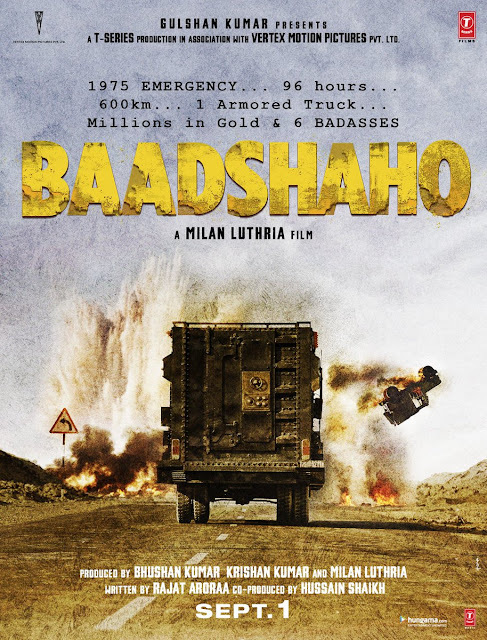 As per 'Baadshaho' first poster, it is clear that the film is set during the emergency period of India and would be an action-thriller. The looks of Ajay Devgan, Emraan Hashmi and Ileana D’ Cruz have made it abundantly clear that this action-packed film is going to be a roller coaster ride for all cinephiles. The film has been directed by Milan Luthria and is scheduled to release on September 01. Milan Luthria has earlier worked with both Ajay Devgan and Emraan Hashmi in 'Once Upon a Time in Mumbai'.